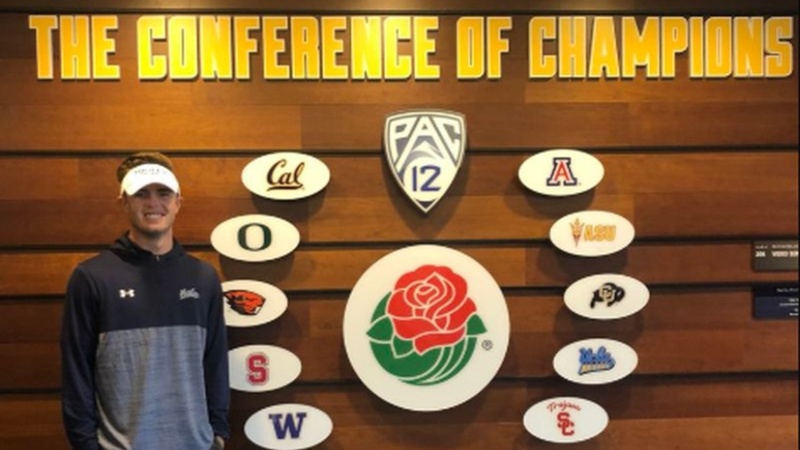 The Bears secured a commitment from Higley (Gilbert, AZ) High School quarterback Spencer Brasch during his official visit to Cal Sunday and Monday. A dual threat QB, Brasch competed 62% of his passes on the season for 33 touchdowns through the air with five intereceptions along with 898 yards and 13 touchdowns on the ground, averaging an impressive 9.9 yards per carry. "I always wanted to be in California," said Brasch. "So it was perfect that I got an offer from Cal. "Great school, good program and really nice area and beautiful campus. I'm really looking forward to the education I'll get at Cal and being a part of this program. "One of the things I like a lot, too, is how nice the coaches are. Coach Tui was super-excited for me and I like all the other coaches, too. It felt like I was really welcomed right away and really a part of the family at Cal." "I think he is a really good quarterback that also happens to be a very good athlete," said Higley head coach Eddie Zubey. "And a lot of times you see kids that are really good athletes that happen to be able to throw the ball, but he's a quarterback first, but also has the ability to beat you with his feet and just be aware. He's a great athlete." To say Brasch is a multi-sport athlete would be more than an understatement. "Oh yeah, I say, which sport doesn't he play," said Zubey. "As a sophomore last year, he went out for the baseball team. He was a varsity pitcher. He was clocked at 86 miles an hour as a sophomore. "He always runs track. Track and baseball is the same season here. So he's playing both sports at the same time. In his sophomore year he made it to the state track meet in the triple jump and the open 400." "This year he decided he didn't want to do baseball, so he still did track again for his junior year and then he decided to join our volleyball team. Our volleyball team won state. And he'd never played volleyball before, but it only took like a game or two to get it down. He's the outside hitter. "A week before the regular season ended, he stopped playing volleyball because of the football stuff. Spring ball started picking up. It started to get more evident that, you know, college football was his calling. So no matter what he does, he's great. "This year he made it to the state track meet in the 4x100, the 4x400 and he was the anchor on both of those, as well as the triple jump. "He's also our punter. He averages 42 yards a punt. He was the emcee of our spring assembly, too. You know, up in front of all the students. He's just a good kid. Great family, he's a superior athlete." The talented Brasch saw his first varsity time as a young frosh for Higley. "After his freshman regular season," said Zubey. "He came up for the playoffs. He played a couple series as a freshman I believe. As a sophomore, Spencer was our starting varsity quarterback. He also played free safety on JV. So we pulled him up to varsity. We had three year starter on varsity. After the first game of the playoffs, Spencer was our starting free safety. He was just a ball hog. You know, he's 6-3/190 and just a great athlete. He beat the kid out at free safety in about two weeks." The program had several high level players in Brasch's sophomore season but after they moved on, Brasch took on more of a leadership mantel last season. "This year he's really stepped up his leadership role," said Zubey. "About two weeks after the season ended, he got all the guys together and they started organizing, going and throwing on their own. We didn't talk to him about doing any of that stuff. I'd rather him wait until January, get a little bit of time off, but he wanted to get them working right away. So he's been out there with those guys. They're throwing Saturday mornings on their own. It's been great. The kids really respect him. They respond to him. "He's a winner. He's only lost three games in high school. His freshman year, we lost one game. He went undefeated as a sophomore. Last year as a junior, we only lost two games. Ironically enough, all three of his losses are to the same school, Saguaro, which is always one of the top programs around here, with 16 D1 athletes. A dual threat QB, Brasch competed 62% of his passes on the season for 33 touchdowns through the air with five intereceptions along with 898 yards and 13 touchdowns on the ground, averaging an impressive 9.9 yards per carry. "He's a legit dual threat," said Zubey. "The kid has a super strong arm. He could probably throw the ball through a brick wall. There's not a throw on the field he can't make. He's got huge hands. That's always a comment that I get when college coaches shake his hand. He's got big 'ol paws. "Another good thing for Spencer is, he didn't throw his first interception until game ten," said Zubey. "And it was on a tipped running back's screened pass. He threw four picks on the year and only one of them were legit his fault. One was on a tipped running back screen and then he threw one late over the middle. I think he threw 34 touchdowns and four interceptions. The first one didn't come until week ten. So he really took care of the ball. I don't think he fumbled it until the playoffs. He just did a good job of taking care of the football." Cal special teams coach Charlie Ragle played a key role in identifying and recruiting Brasch, with his extensive connections in Arizona -his recruiting territory with Cal. "Charlie and I go back a long time," said Zubey. "I played at ASU. Then I GA'd at ASU and then we coached against each other in high school. We were head coaches, when he was at Chaparral. And then he became a GA at ASU for a year. So we've definitely crossed paths. He does a great job. "Also, he's been on our guy Ty Robinson as well since Ty was a freshman. He was always saying, 'This kids' going to be special'" Lo and behold, he's one of the top recruits in the nation. He does a great job with the kids. He builds relationships with them and when he's there they can tell he's genuine. He doesn't pull any punches with them." Both Ragle and offensive coordinator Beau Baldwin were there to watch Brasch throw before his offer and meet with Brasch and Zubey. "It was my first time meeting Coach Beau (Baldwin). It was great. We got to sit down and talk a little bit before just about everything. And having Ragle in the room as well kind of lightens the mood and opens him up a little bit more as well. They were great to talk to. They were honest. We got on the board a little bit, talking a little offense and that was fun to do. So, it was good." SMU, NC State and Vanderbilt were top contenders for Brasch before his commitment to Cal. I appreciate 46 tds and 5 ints. He had me at 2:11 of that hudl video. Fantastic! Welcome QB Spencer Brasch. Cal beat out their counterpart in Davis for two football recruits on the same day! We should lock up Ragle for the future. This is his class. Nice footwork setting in the pocket. Good judgement in the RPO game. Some nice passes while scrambling. Nice elusiveness and speed when running. Arm strength looks decent --- but lots of his passes were to wide open receivers behind the defense. We'll need to see how he is when he has to look off defenders and make tighter passes. can run as well as pass! "He could probably throw the ball threw through a brick wall." But I digress. Spencer is an amazing athelete. What I like most about his background is the leadership position he's taken on his team, and his willingness to take on any role his coaches ask him to fulfill. 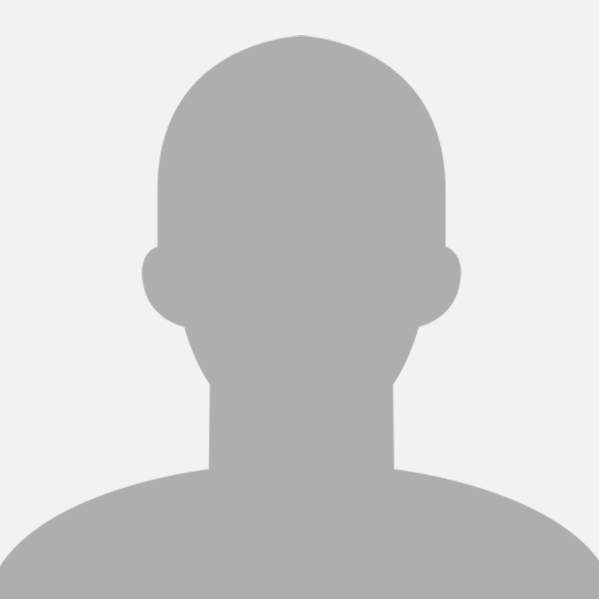 He could be our first "three-way" player: QB, Safety and Punter. Then he could pitch for the BB team, and drop in on the volleyball team for big matches. Oh, and win the Pac-12 triple-jump in track during the Spring. All while getting top marks academically. Our ability to successfully recruit a player this talented speaks to the huge progress our coaching staff is making in recruiting. Just curious. Is there anything Cal can do that you would approve of? If he ends up being very good for us, which joke will we hear more of: Brasch Balls or Bill Braschy? Where's the genius that wants Tui gone? Lol. I love our genius commentators that specialize in buttplay and moonlight as college football coaches. What's wrong with buttplay? Also, every single person on this site is an expert on college football and basketball, at least. Buttplay? Well there's a well reasoned post. Just curious. What is wrong with his post? He's got huge hands. That's always a comment that I get when college coaches shake his hand. He's got big 'ol paws. "Big 'ol paws." No more small hands jokes for our QBs. Welcome to Berkeley. Go Bears! Sweet! Way to go Bears! Wow! Well, that's a really nice vid. He sure does make some nice throws, and his running is impressive. And even with his punting.....I get the impression he hasn't reached his potential punting yet. If he gets just a bit more extension out of that leg, he could add a yard or 2 or 3+. Seems like a terrific young man with great statements about his character. I'm jazzed. I don't recall any previous quarterback we recruited in recent memory that was described this way. Nothing it all. But you gotta respect the specialists. The dudes that roll up their sleeves and REALLY get in the mud. We are lucky to retain a number of said specialists. I think Brasch is a great get. Could be great at QB, but even if he is beat out by someone else could play safetyor a situational punter on 4th down, with run, pass and punt (providing an 11th on coverage) all an option. Ken loves our Buttplay guys, that's cool bro. No disrespect to Spencer but I'm pretty sure that VicV, Gilliam, and McIlwain were/are all described that way. Mark me as very impressed. 1. Strong arm on long and medium range passes. 2. Good field vision and pocket presence. 3. Strong and savvy runner. Only negative appears that he might be a little too Colin Kapernick with the run. But I did notice a few plays where he kept his eyes down field when pocket protection broke down instead of his taking off. And his runs usually looked like designed plays. I think Maynard was described this way or was it Ayoob? Hey thanks for all the kind words about Spencer Brasch. I'm a proud Pappa Bear at this point. I look forward to many "spirited" conversations with all of you! GO BEARS!! Right you are. Mea Culpa. But if we did . . . Nothing beats seeing one of your kids do well, does it? A lot of hard work on Spencer's part. I think for him, the best part of being at Cal may well turn out to be the opportunity to connect with outstanding faculty. It's hard to think of an area where Cal does not have world class faculty & research. Welcome to Cal too, DB. Congratulations and welcome! Glad to have your son on board hope you get many opportunities to visit the Bay and see your son play.